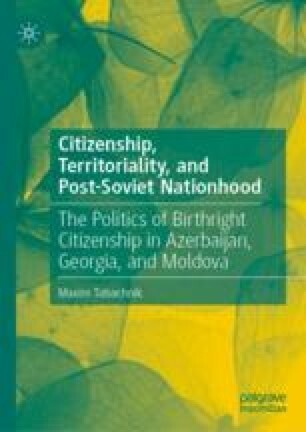 As the tension between ethnic and territorial collective identities is becoming more acute with pressures of globalization, territorial nationalism is a viable and attractive alternative to linking the nation-state to ethnic identification, as the politics of identity in Russia’s buffer zone demonstrate. Given a renewed respect for the historical memory of groups (including ethnic ones) and places, territorial nationalism may be the only way forward to prepare today’s nation-state for tomorrow’s challenges. Obama, Barack. 2016. Address to the People of Greece. American Rhetoric. http://www.americanrhetoric.com/speeches/barackobama/barackobamagreecepeople.htm, accessed July 20, 2017.